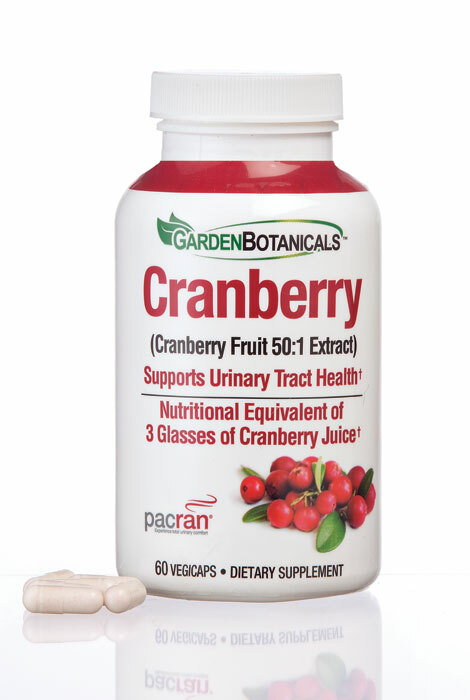 Support a healthy urinary tract with this Garden Botanicals™ Cranberry Vegicaps. Nutritionally equivalent to drinking three glasses of fresh cranberry juice without the calories or sugar, these veggie capsules are a great source of Vitamin C. The 100% vegan formula is all natural with no chemical additives. To use, take one or two vegetable capsules daily as a dietary supplement. All supplements are manufactured in the United States in an FDA-inspected facility whose GMPs (Good Manufacturing Practices) are independently verified by qualified certification organizations.